This is an outline of how to create visible armor pieces in the The Darkened Sea expansion. There are three tiers of armor in the group game and a single tier in the raid game (see our TDS progression guide for the zone Tier distribution). The vendor-bought components for armor are bought from the vendor Seersmith Caius (click for map) in Katta Castrum: Deluge. 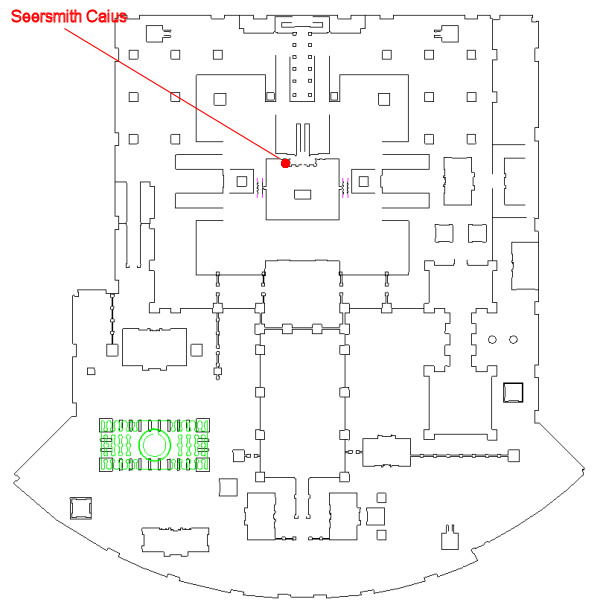 The Seersmith is found on the main floor of the temple. Dropped components come from nameds and raids in the expansion. Necromancers, Shadowknights, Shamans, and Beastlords can change the focus on a wrist piece by placing it inside a container by itself. This page last modified 2018-09-06 17:06:56.